If You Don't Love it! Don't buy it! So you have a whole lot of everything, but a whole lot of nothing to wear? Check out your closet. Something like this maybe. 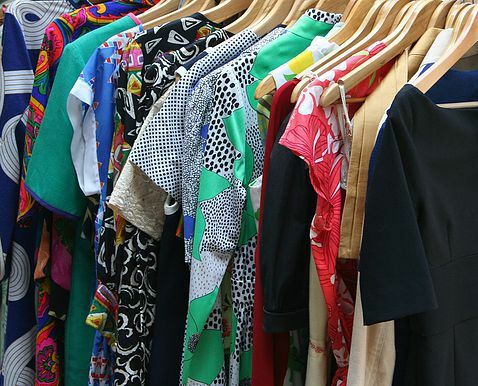 Did you know that the average person only wears approximately 10-20% of their wardrobe. Pretty alarming! Huh?... Most closets consist of items that have been gifted to you, pieces that didn't work when purchased & you didn't love from the start. Think of how much that could be put back in your pocket or can be invested in something that you absolutely love! Don't get comfortable with a jungle in your closet. Do yourself a favor and love your wardrobe. Let every single piece be a reflection of who you are and you look & feel amazing in! Here are 5 quick tips to help you avoid the jungle.